I can't believe it's taken me until now to appreciate how amazing 100% cashmere is. 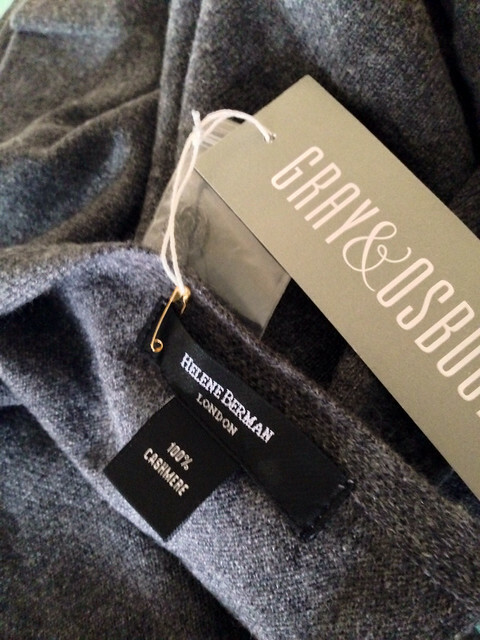 I've had cashmere mix knitwear before but I'm afraid Gray & Osbourn have totally spoiled me this season with this 100% Cashmere Poncho by Helene Berman...and given me a taste for higher end investment knitwear. It's been perfect for this warmer weather where a coat is too heavy but there's a chill in the air in the mornings and evenings. These photos were taken on a trip up to the North Coast last week where my son had an away rugby game. It felt like the middle of summer at times but the poncho was invaluable on the side of the rugby pitch and at the harbour where it was decidedly nippy. I like that it's split on one side which addresses one of the frustrations with ponchos. You simply have the open side on the arm that you carry your handbag on .... genius! 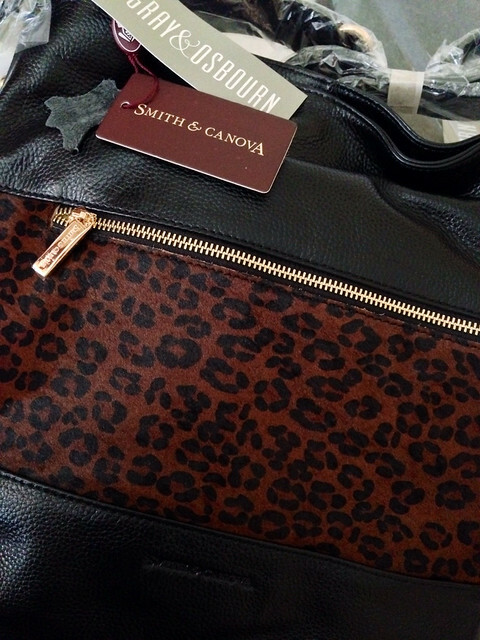 I was also sent this amazing Smith & Canova Leopard Trim handbag - a complete surprise and I am so excited about it as I was looking everywhere for a leopard handbag that wasn't too 'in your face'. Two great items that are going to get worn lots this autumn/winter. Thanks to Gray & Osbourn for sending me these items and thanks to you for supporting the brands that help keep School Gate Style in style! 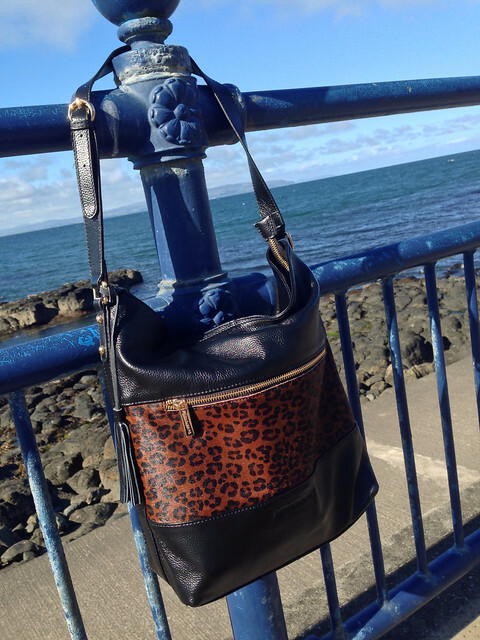 Two great classic additions to your wardrobe Avril, which I'm sure are going to prove extremely useful, love the leopard print bag in particular! WOW you lucky duck, that poncho is just amazing. I have a cashmere cardigan and I love it! Leopard and grey cashmere - love them both, Avril you look great! 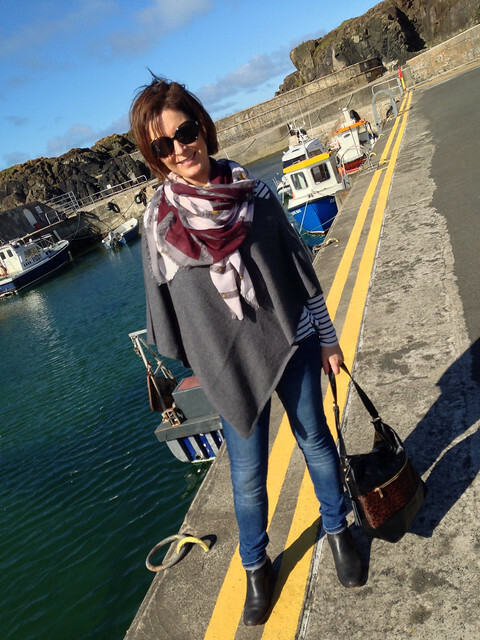 I'm totally sold on all the ponchos that are out there this season and great at the moment whilst it is still quite warm. 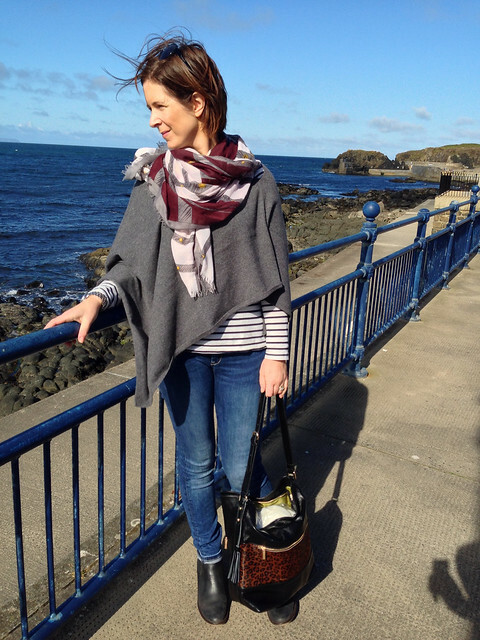 G&O is looking fab at the moment, the website is much slicker and there are some lovely accessories and coats for autumn/winter. I LOVE and want this poncho, it looks great. Fab outfit. Love the bag!! 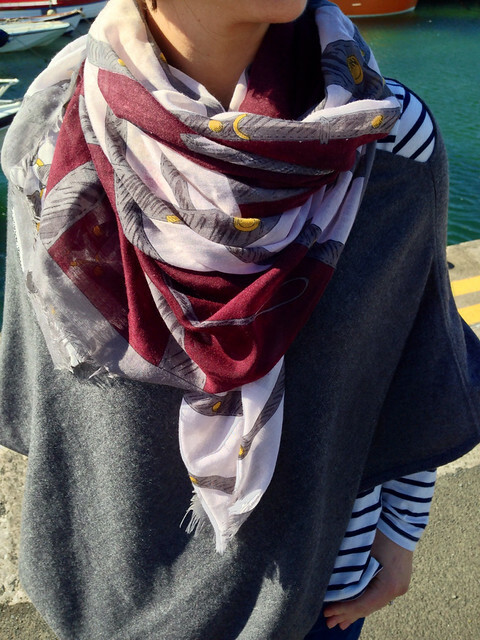 And the scarf! And the poncho. Never been sure about them but that looks really nice!